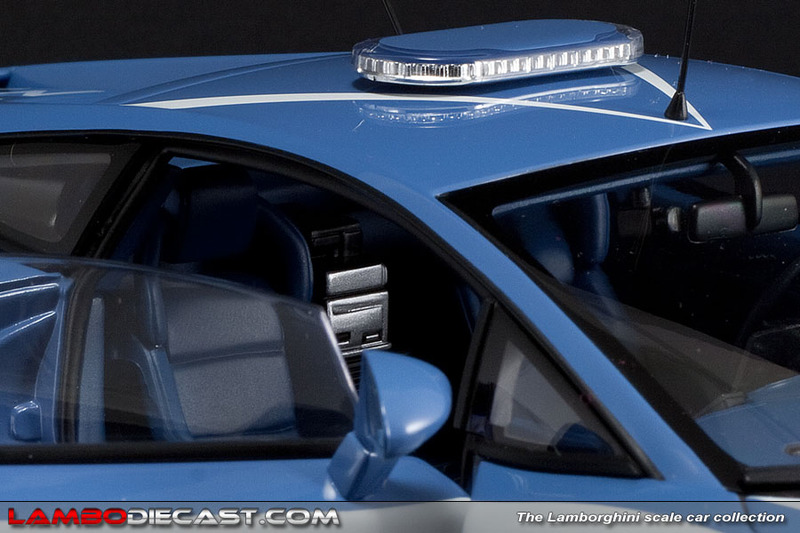 When I visited the Essen Motor Show this year I passed the large stand from CK-Modelcars.de, naturally I was on the lookout for the new Lamborghini Murcielago LP670-4 SV from AutoArt, but unfortunately they hadn't any shades with them on the stand, so I was a bit disappointed in fact. 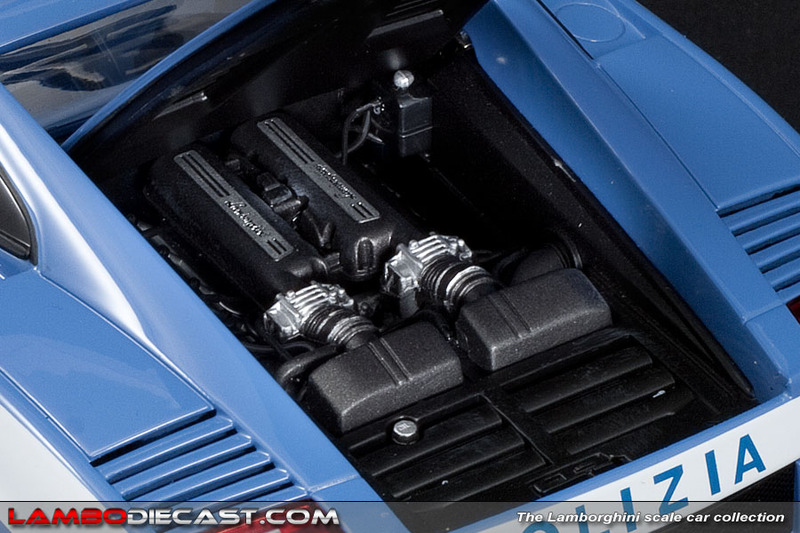 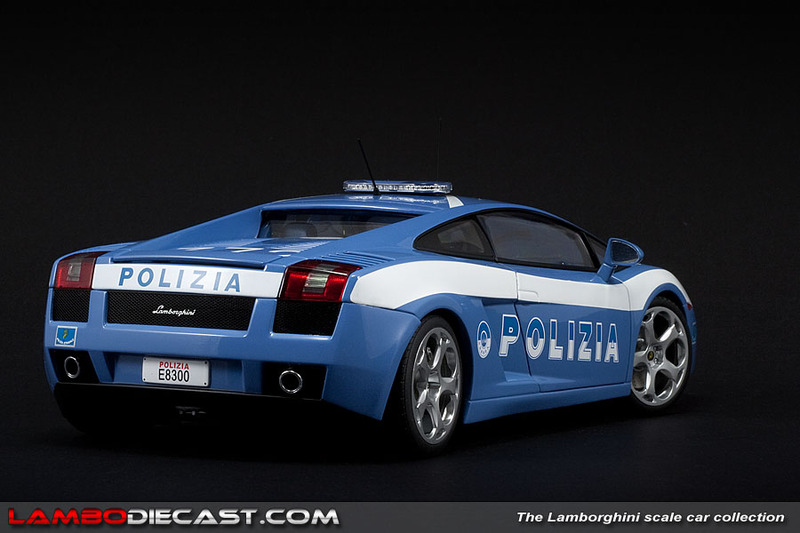 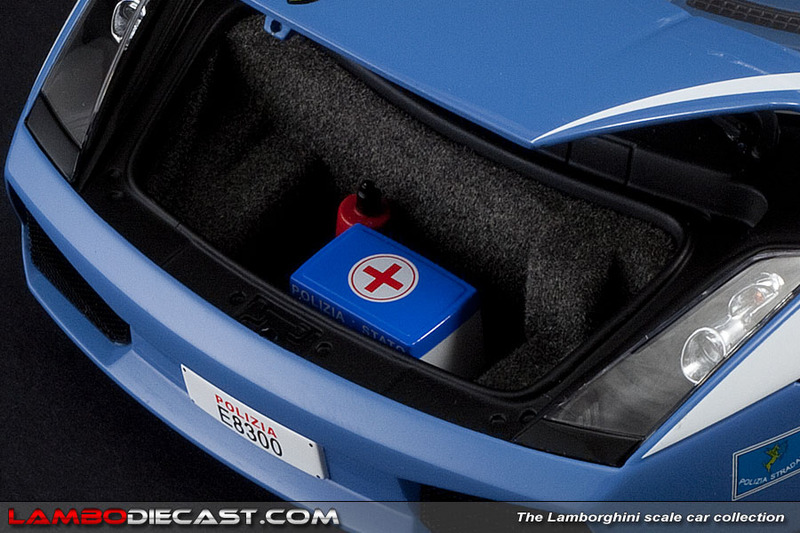 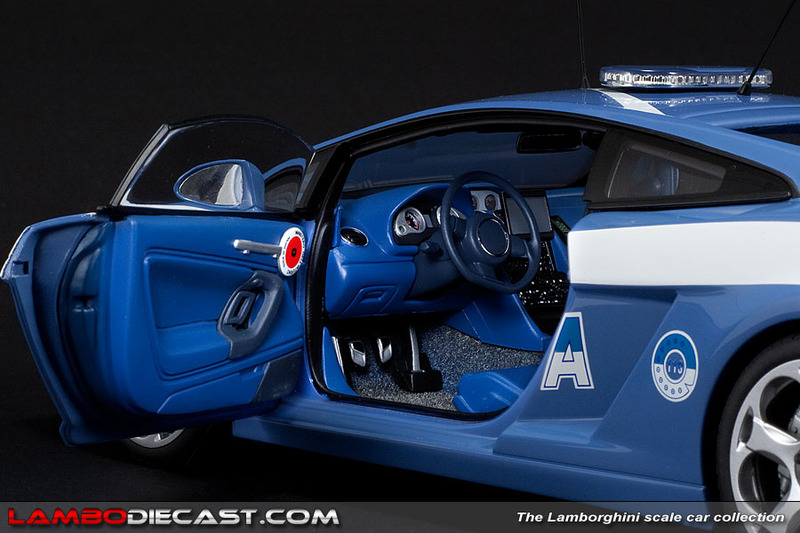 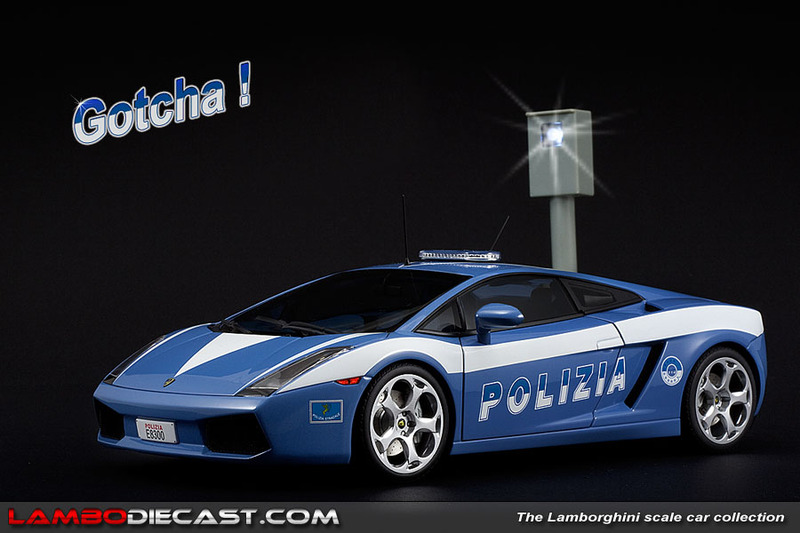 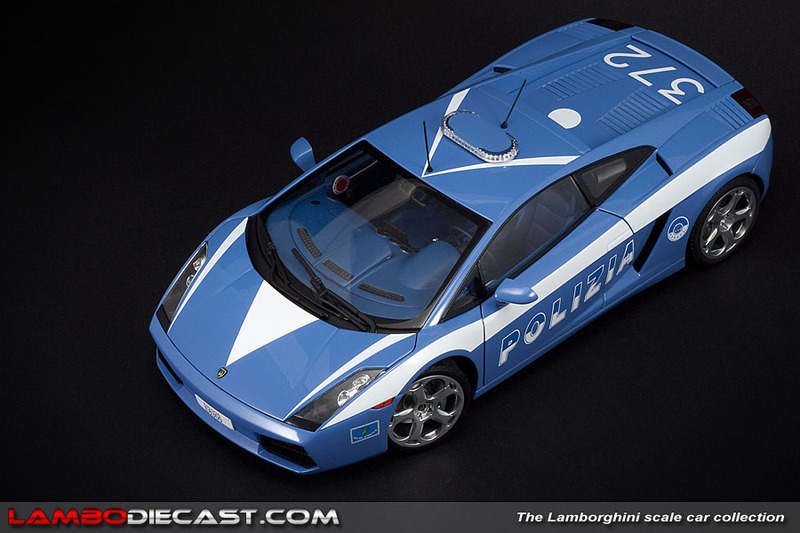 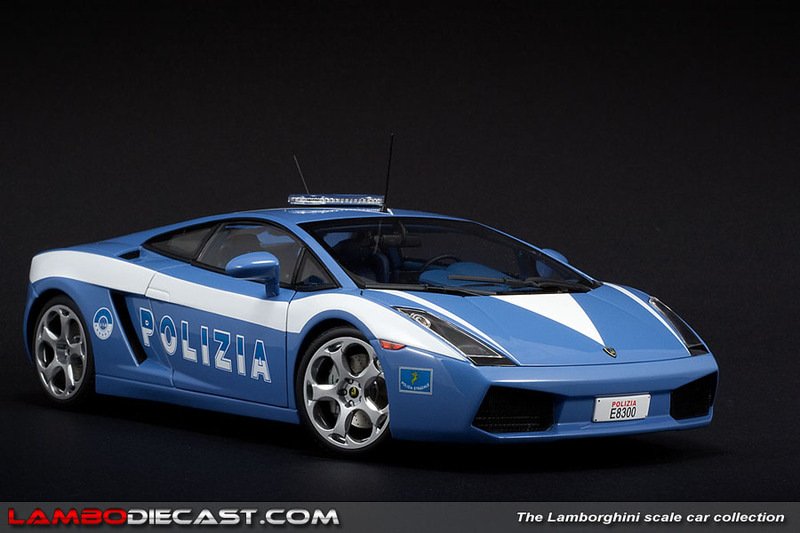 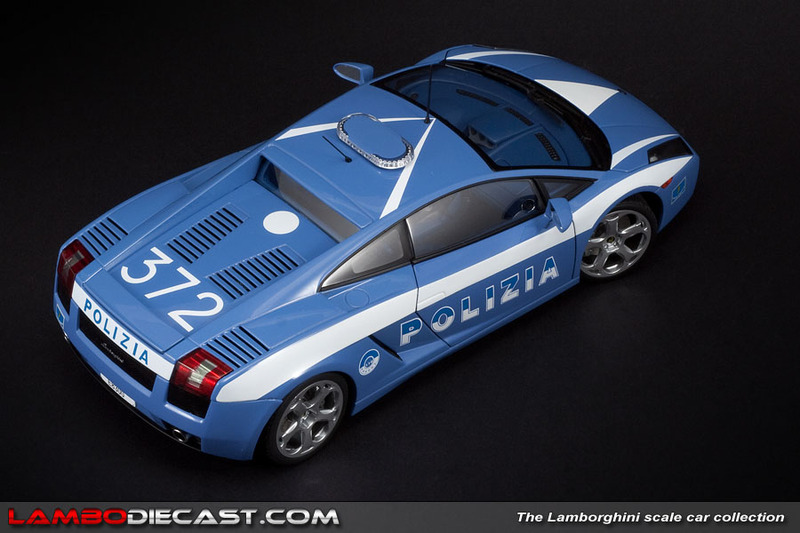 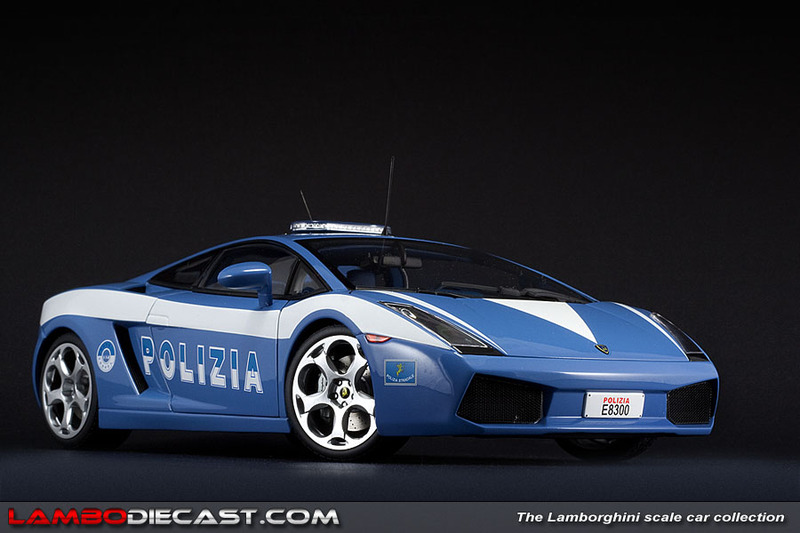 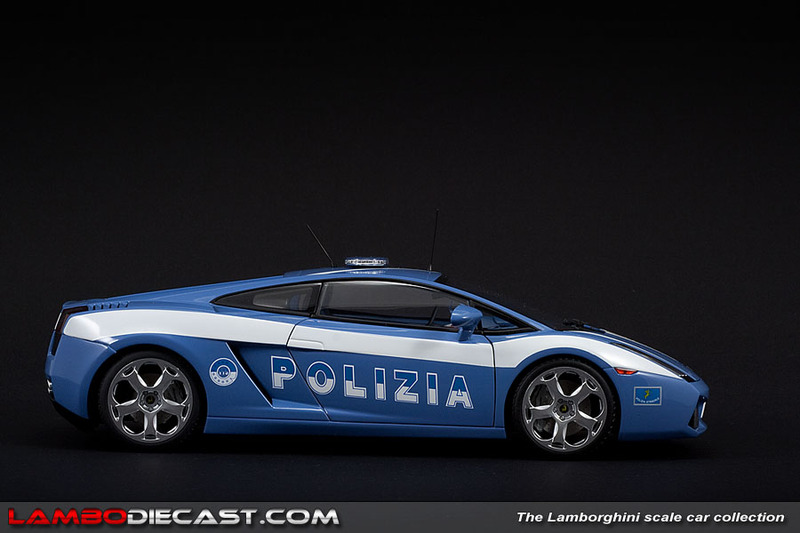 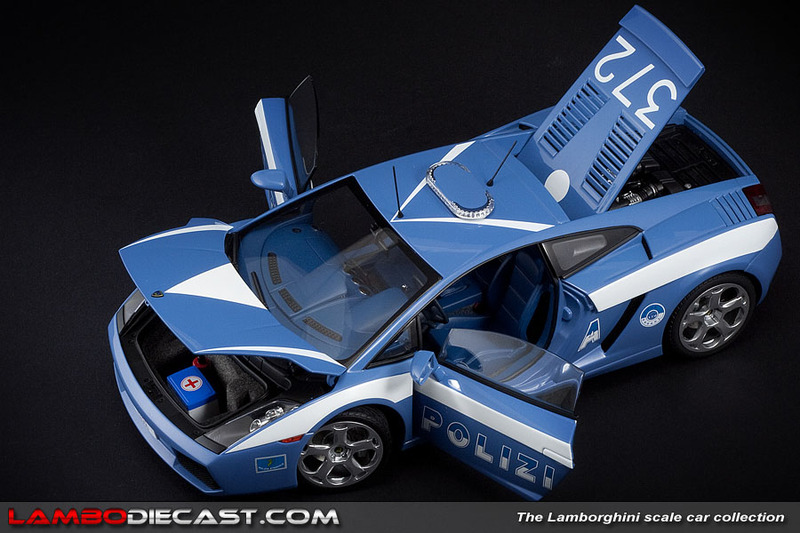 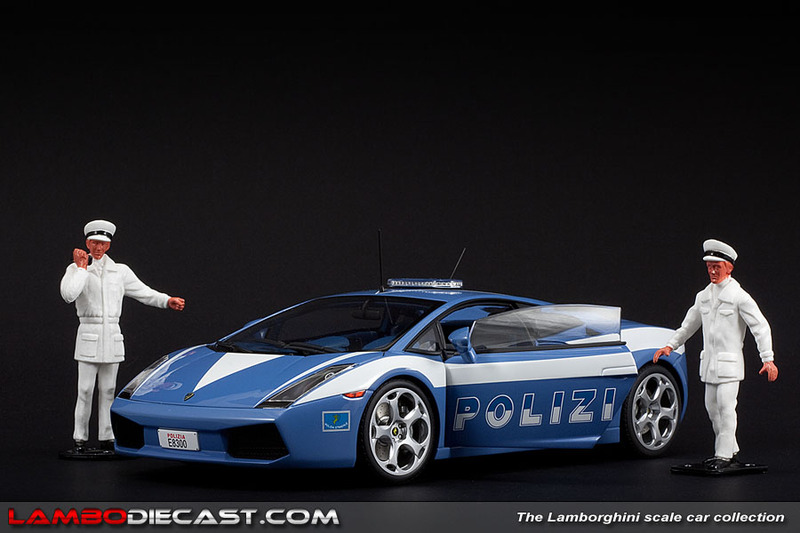 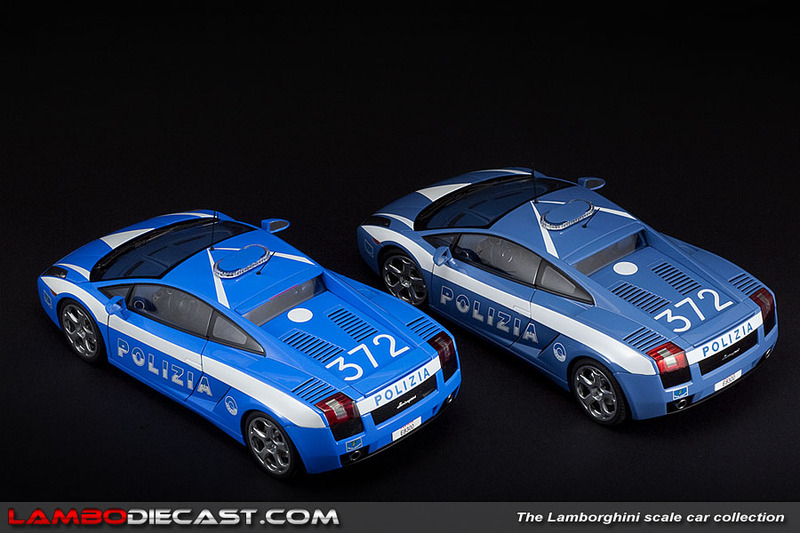 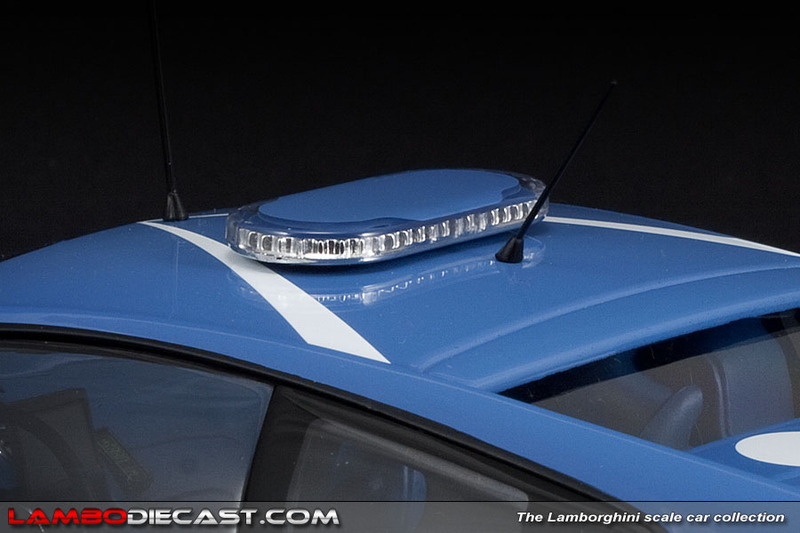 But that quickly changed when I saw the Gallardo Polizia cars on sale, both the new LP560-4 model and the original Gallardo 5.2 version … the latter being a unit from the new production run … in the correct blue shade. 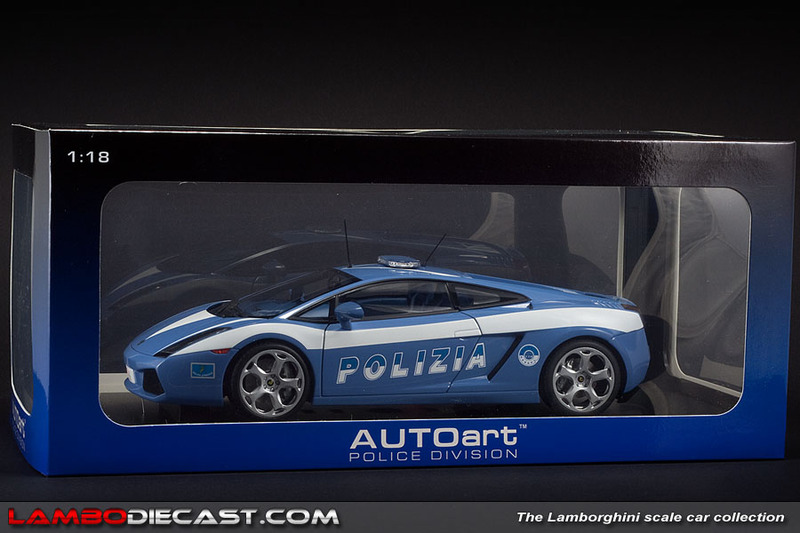 As I already own the original release in the bright blue shade I was already thinking about adding the new release in the right blue … and here it was on sale for a nice price, so I quickly grabbed one for my collection. 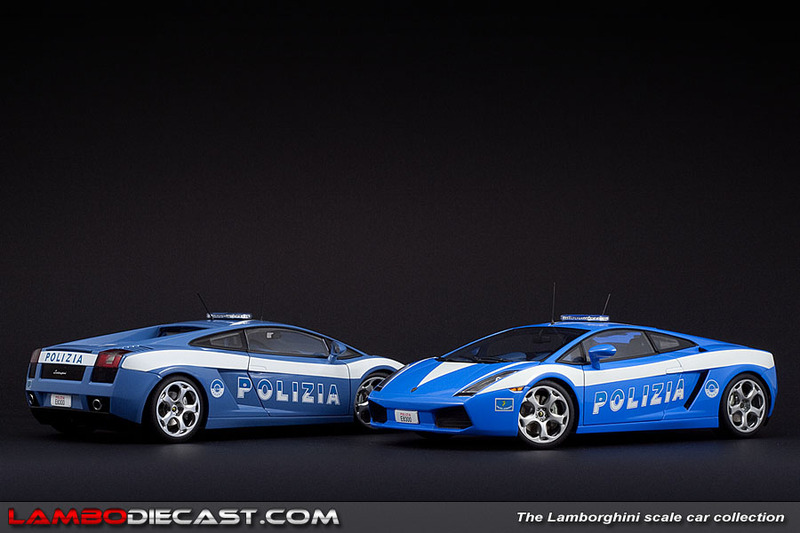 I didn't find any other difference in my quick glance over both models other than the shade, all the additional police items are present on both versions, like the dual antenna array on the roof and naturally the police lights to make people notice the V10 when it hurls down the autostrada catching a speeding Ferrari … I'm just kidding here, don't be offended. 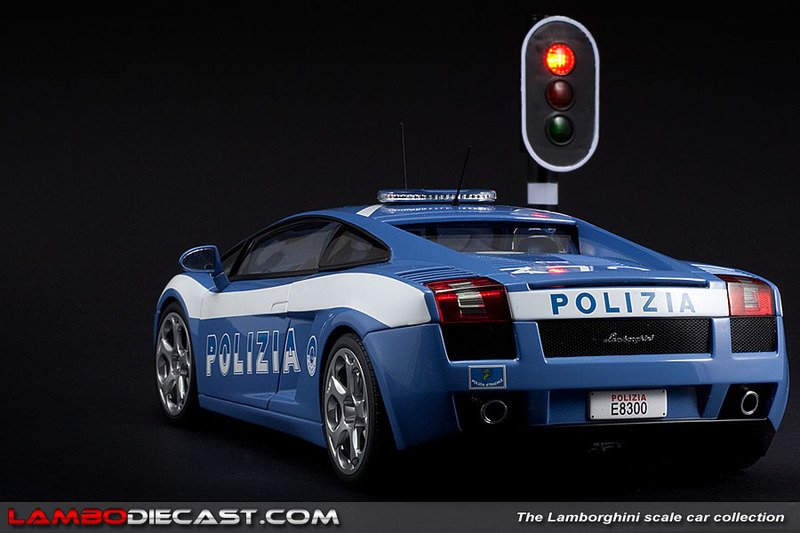 If you open the front hood you will notice a fire extinguisher and a special box for organ transplants, a mission this car is frequently used for on the Italian highways I am told, opening the door will show the nice white and red plaque to direct traffic that has been mounted on the door panels. 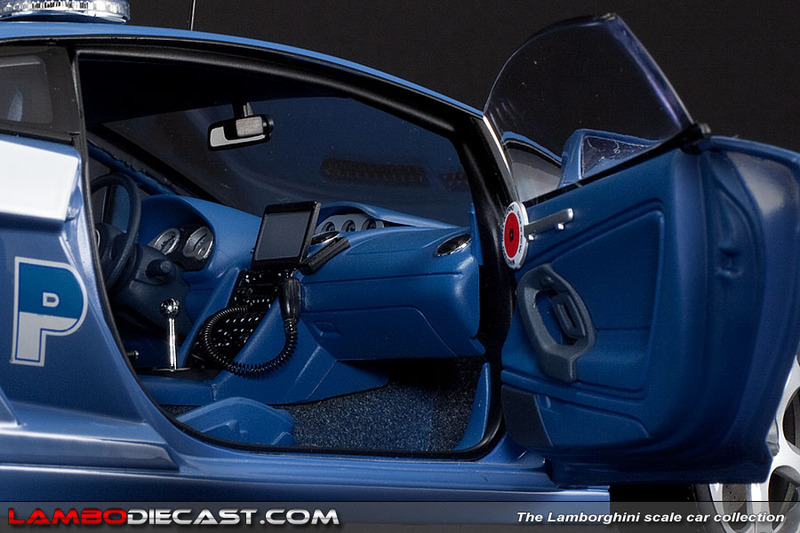 Naturally there is a multitude of added instruments on the dashboard and between the seats. 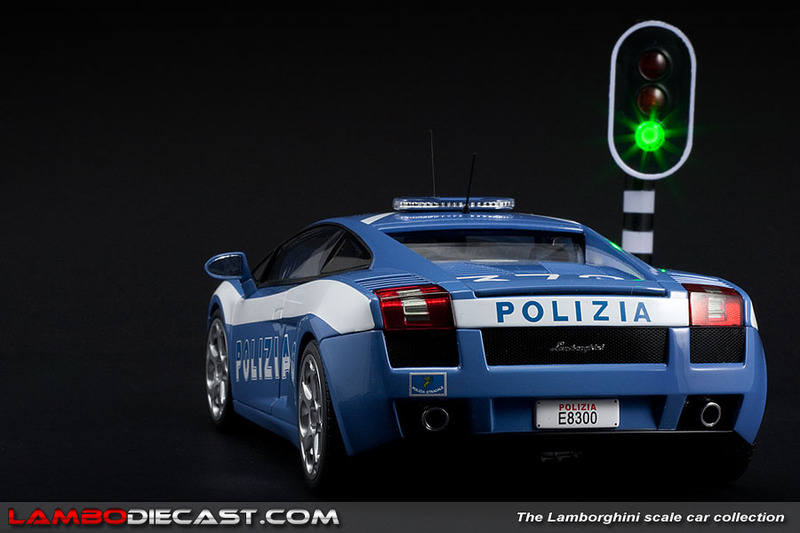 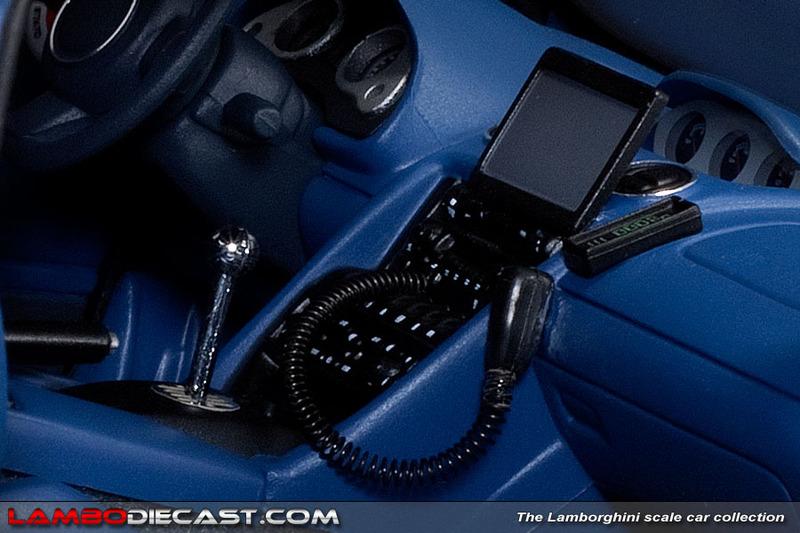 On this Gallardo 5.2 Polizia there is an addition flat screen on the central console (the LP560-4 version has a dual screen built into the dashboard in the space that would normally occupy the passenger airbag) and it is a normal transmission model where the LP560-4 Polizia is equipped with the e-Gear option. 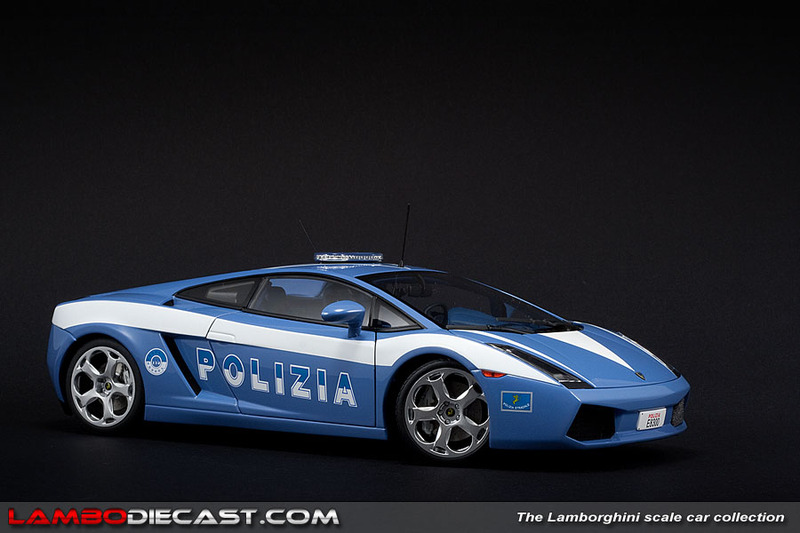 At the show I was a bit hesitant to be honest, looking at it on its own doesn't show the difference in paint, I did put it next to the LP560-4 Polizia the shop also sold and both shades were the same, so I was a bit set at ease about it being the new release … however putting it side by side with the original release it is very clear the blue shade is totally different.